You recently received a report from AEMO (Advice to Commonwealth Government on Dispatchable Capacity) which rivals the earlier report by Dr Finkel in its total aversion to explaining what lies behind the electricity security and price calamity being inflicted on the Australian people. However, the AEMO report differs from Dr Finkel’s in a couple of significant aspects. Unlike Dr Finkel, who has no operational responsibility for our electricity supply and is never going to be called to account for its continuing failure, the AEMO officials know that when the power goes off, many people will be pointing the finger at them. So, in self-protection, they have been forced to be a bit more honest about the nature of the immediate threat – though they refuse to discuss what is causing that threat. In a detailed letter to Dr Finkel in June, none of which he has repudiated, I pointed out that his document appeared to breach section 137.1(1) of the Criminal Code Act 1995, in relation to giving false or misleading information to someone exercising powers of the Commonwealth Government. In multiple places throughout the document, there are repeated statements about the uncertainties. So you have a report that AEMO is willing for you to rely on but AEMO will not guarantee its accuracy and will take no responsibility if it turns out to be wrong and you waste a few billion dollars more, or the power goes out more often or earlier than they suggest at various points. As you read the document you were probably impressed to see many figures with an appearance of great accuracy, frequently with 3, 4, or even 5 significant digits. I hope when you read them you kept remembering that caveat up front, that AEMO makes no warranty “as to the currency, accuracy, reliability or completeness” of that information. Hopefully, you know the Australian vernacular phrase for such statements so I won’t spell it out here. Given the inaccuracy of some of AEMO’s past predictions, it certainly would be unwise of you to rely on any now presented. After all, if they really understood the NEM and were honest about it, they would have forecast the current problems years ago. while it cannot completely hide the electricity security consequences of what it calls variable generators (wind and solar), promotes the dishonest impression that those generators provide lower cost electricity despite their existence being wholly dependent on subsidies and them being allowed to externalise numerous costs onto the rest of the system. The purpose of the report is to protect the jobs of the bureaucrats who run this shonky system and the profiteers who exploit it, while destroying the lifestyles of Australians and their jobs. It presents the bare minimum of reality necessary in order to provide a rationale for adding some high cost fiddles to the NEM to reduce the likelihood of imminent blackouts and mass sackings of high-priced AEMO management. It conceals most of the facts and understanding necessary to re-establish an electricity system whose purpose is to serve electricity users and our society as a whole rather than a plague of profiteers. I notice that the letter to you by the American lady you imported to run the Australian national energy market (you apparently having concluded no Australian was up to it) is garnished with the requisite PC phrases about weather and climate. She notes the electricity system is “at risk from increased vulnerability to climatic events, such as extended periods of high temperatures” and she is concerned about having to “manage the potential impacts of severe weather on the power system” (emphases mine). I love a sunburnt country,A land of sweeping plains, Of ragged mountain ranges, Of droughts and flooding rains. and point out to her that it was written more than 100 years ago, by an Australian lady who knew tough “climatic events”, such as “extended periods of high temperatures”, are just part of Australia’s normal climate, well before today’s global warming hysteria. The state governments which built Australia’s power generation and distribution system, before the NEM, were likewise familiar with our climate, which they took for granted, and they created systems which operated reliably, efficiently and at low cost in that environment – before the federal government got involved in turning one of the world’s best and cheapest electricity systems into a basket case presided over by multiple unaccountable, expensive and incompetent bureaucracies. I suggest you share the following graph with your adviser and ask her to present her real-world evidence (not theories) to support her claim that the NEM, over which AEMO is presiding, “produces the most economically efficient results for consumers”, or will do so. The graph shows that real consumer electricity prices (i.e. inflation-adjusted) have actually doubled since the NEM was formed. I suggest you take a few moments to think about that absolutely central piece of information and its consequences for all Australians. For all the families in Australia taking power from the grid, the inflation-adjusted rate per KWH is now basically twice as high as a decade ago, and it seriously affects their lives. Excess household expenditure on electricity (compared to holding real energy prices at 2000 rates) by Australian consumers is approx $12.7Bn in 2017 and will be $14.4Bn in 2018. The additional $12.7Bn which consumers have to spend on electricity, due entirely to real electricity price increases, is removed from expenditure on other goods and services. That has eliminated about 44,000 jobs elsewhere in Australia and it will be about 49,000 by end of 2018 1. This is without including jobs lost because businesses also have faced massive increases in wholesale electricity prices, which has caused many to cease operating in Australia and others to cut back employment to offset the increased electricity costs. AEMO data shows business uses about 73% of total Australian electricity production, with 27% going to household use. Thus business uses almost three times as much electricity as do households. The excess cost to Australian households is now about $12.7Bn p.a. In addition, a larger electricity cost burden is falling directly on Australian businesses, which also destroys jobs. Perhaps you can get one of your advisors to do the sums on the total Australian excess electricity expenditure (at current real prices compared to 2000 real prices). Adding the excess expenditure for business to the excess expenditure for consumers, the total must be somewhere between $30Bn and $50Bn per year. Despite that reality, your American correspondent has the gall to claim that this AEMO controlled market “produces the most economically efficient results for consumers”. The historical evidence shows the statement is a massive falsehood. That is another self-serving statement by AEMO which is repudiated by reality. 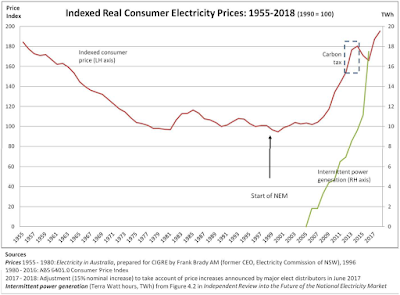 From 1955 until the formation of the National Energy Market, real electricity prices in Australia fell by about 45%, particularly until the early 1980s. Throughout that period generation and distribution were in the hands of state governments. Low cost, reliable, electricity was provided without the benefit of the markets your American correspondent thinks we need and without innovation away from coal-fired power stations which provided electricity that was dispatchable, cheap and reliable. Has your American correspondent provided any credible plan to halve the real cost of our electricity supply so it equates with what state governments provided before the formation of the NEM and indeed achieved four decades ago? If not, why not, and why are you taking advice from someone who fails to recognise that the current system is a disaster for all Australians except those who like you and her are cushioned by hefty salaries. Your American correspondent tells you that “Australia's energy system is undergoing unprecedented transformation” which is “radically changing the dynamics of the power system”. That is certainly true – which is why real consumer electricity prices have doubled and we are now having a national conversation about electricity security which was previously unheard of in this country. She, unfortunately, neglects to tell you that this has been, and continues to be, entirely driven by federal and state government policies, especially the massive subsidies they have forced electricity consumers to pay to the rorters who provide intermittent and unpredictable energy supplies. She assures you this is happening in other countries, as indeed it is – but only in those countries whose governments have stupidly decided to mandate intermittent electricity supplies which are having precisely the same effect for them as for Australia. 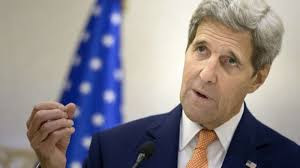 Any rational person not blinded by ideology would find a lesson in that commonality worth mentioning – but it is a lesson your American correspondent is either blind to or wishes not to draw to your attention. The first sentence in that paragraph is true. The rest is dishonest misinformation. She says “These units have historically relied on relatively constant high production levels and stable revenues”, as if that is a defect. Anyone with a modicum of knowledge of economics and business understands that achieving high capacity utilisation of productive assets of all kinds is the way to get low production costs, which is exactly what those baseload units gave, and will continue to give if run to match actual demand. Is your American correspondent ignorant of this aspect of production economics – or is she just trying to mislead you? She goes on to say “they are not well suited to respond to rapidly varying energy system needs”. That is probably true, but the country does not have “rapidly varying energy system needs”. It did not have it in the past and it does not have it now. 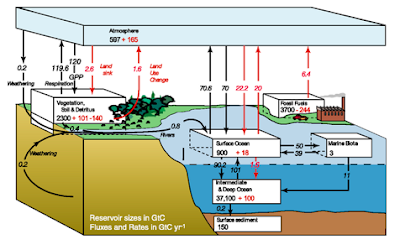 What Australia now has, is rapidly varying electricity supply from the intermittent power generators which, because federal government policy gives them pre-emptive access to the grid when they do generate power, forces rapid and large amplitude variations in the residual demand for power from baseload plants. And the more of those unpredictable intermittent generators you add to the grid, to satisfy Finkel and other ideologues, the stronger will be the fluctuations in demand for electricity to be supplied by dispatchable sources and thus the less economic will those sources be unless electricity prices rise further to cover the inefficient way in which they are used. AEMO has not bothered to tell you this. Incidentally, you might think from the words of your American correspondent that wind and solar farms are, unlike coal-fired plant, “well suited to respond to rapidly varying energy system needs”. That is a reasonable inference from her words. Unfortunately, like much of what you might understand from her letter and the AEMO report, it is totally false. In order to be “well suited to respond to rapidly varying energy system needs”, a plant must be able to provide power that matches those supposed “rapidly varying energy system needs”. Of course, neither wind nor solar can do that. They can provide power only when the wind is blowing and the sun is shining – irrespective of what electricity consumers want. Surely even your American correspondent understands the sun does not shine at night and wind farm output is sporadic and unpredictable and overall averages about one-third of rated capacity. The business model of baseload, coal-fired power stations is “challenged”, as she quaintly puts it, because the federal government has mandated a massive subsidy and preferential grid access for intermittent electricity generators – at the expense of efficient forms of electricity generation and Australian electricity users. Their business model would not be “challenged” were they being run to provide continuous power output as was the case when owned by state governments, at which time they provided us with reliable electricity at half the current real price. And her statement about “falling costs of competitive sources of energy” is just pathetic propaganda for intermittent power sources and shows the gross biases of the people you have running AEMO. 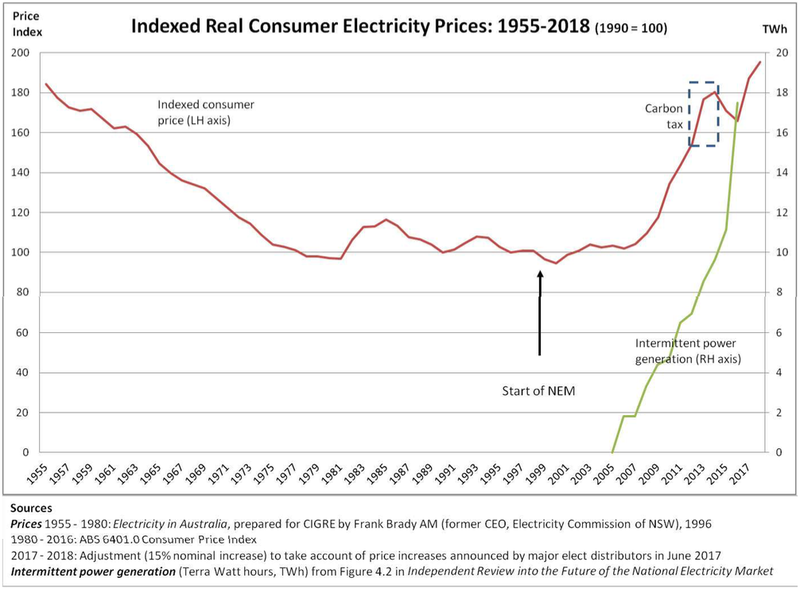 If the cost of electricity from those sources was falling in any way material to Australian consumers, those sources would not need enforced subsidies and real electricity prices would be going down, not up. Abolish all subsidies for particular forms of electricity supply. That means the RET- based subsidies for wind and solar in particular but also the various other forms like preferential funding for intermittent power generators. Offer long-term government contracts for low-cost dispatchable electricity supply which is also able to provide the other characteristics needed for stable supply (e.g. frequency control) sufficient to meet Australia’s electricity requirements with the safety margin we once enjoyed. If wind and solar operators, who claim to be innovators, can figure out some way to provide competitive, low cost, unsubsidised dispatchable power on that basis, fine. In reality, they, AEMO, you and I know they can’t – but the two-pronged approach does not discriminate against them. Physics and reality do. The main sources likely to meet the dispatchable provision are, as AEMO itself notes, coal, gas, liquid fuel, hydro and biomass, and of course nuclear, which AEMO fails to mention despite being used successfully in most of the developed world. Of course, the rorters will squeal like stuck pigs. 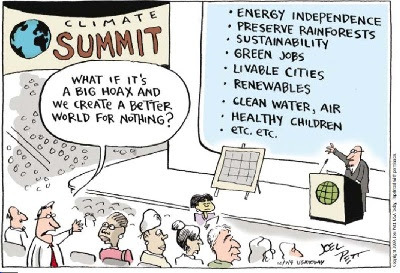 But Australian governments totally ignored the effect of current energy policies on Australian companies forced out of business and the loss of value in their investments, and on the Australian citizens forced to go without power and those who were forced to cut back consumption of food and other goods and services to pay for vastly inflated electricity prices. Nothing in the Australian Constitution or even the bible says we have to keep fleecing our population to benefit rorters – though your reticence to do something about it suggests you feel some imperative to protect the latter. And let’s not have the red herring about “sovereign risk”. Through the “renewable energy” fantasy, Australian governments have destroyed the value of a massive amount of pre-existing industrial production, which was there in accordance with previous government policies, without anyone suggesting that created a “sovereign risk” problem. There is no “sovereign risk” problem from treating the intermittent electricity rorters in the same way. In fact, there is a true “sovereign risk” if by persisting with this stupidity we continue to destroy our economy and thus Australia’s future capacity to pay its debts. Politicians of all parties have totally destroyed any rational market for investment in electricity generators. It doesn’t matter what you or the PM or the leader of the Opposition says, no one will now make an investment that depends on continuous rational behaviour by Australian governments, which have shown themselves too often driven by clueless irrationality and fantasy. All generator investment is now dependent on an expectation of massive subsidies (RET) or on having long-term, take or pay, contracts with government which cannot be set aside. AEMO recommends you enter supply contracts – but not in a form that would reduce electricity costs and prices. Rather its recommendation is for some contracted “backup” provision which must inevitably be a cost on top of the subsidy-based, high cost system currently driven by destructive government policies. In other words, having failed to see the problem coming and done anything about it, AEMO proposes to add further costs to our electricity system and further real prices increases to electricity consumers. That might be a “solution” good for AEMO. It is not a solution good for Australia and its people. The simple fact is you have received from AEMO advice which is self-serving and grossly dishonest and misleading. At least they have told you in their caveats that they don’t claim the advice is accurate, reliable or complete. You can follow their advice and go down in Australia’s history as being even more destructive for our country than the Rudd/Gillard governments. In so doing, you will continue to impose on the people and businesses of Australia a massive and wholly wasteful cost currently somewhere between $30Bn and $50Bn p.a. Or you can just do the job the people of Australia are paying you for, and take the steps necessary to restore to our country a genuinely affordable and reliable electricity supply, as once we had. 1 Australian businesses, on average, employ one person for just under each $300,000 of income (extrapolated from ABS 81550DO001_201314), so $12.7Bn diverted from other expenditure destroys 44,000 jobs. What a sad thing to read. Glad I live in Malaysia where lots of things don't work as well as in Australia or Canada. But we do not have to fear that Malaysian politicians will be conned by environmental fanatics. Excellent letter which raises all the pertinent points related to this UN invented and propagated ideology and the glow-bull warming scam used to mask their real misanthropic SOCIALIST agenda. It's just a shame that none of those it is directed at will bother to read it, let alone discuss, or even consider any of its content.